For readers of The Nightingale and Beneath a Scarlet Sky comes a gripping historical thriller set against a fully-realized WWII backdrop about the love a father has for his son and the lengths he is willing to go to find him, from a talented new voice in suspense. Rhys Gravenor, Great War veteran and Welsh sheep farmer, arrives in Paris in the midst of the city's liberation with a worn letter in his pocket that may have arrived years too late. As he follows the footsteps of his missing son across an unfamiliar, war-torn country, he struggles to come to terms with the incident that drove a wedge between the two of them. 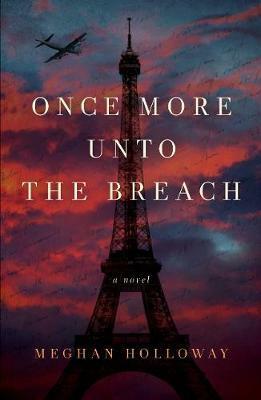 Joined by Charlotte Dubois, an American ambulance driver with secrets of her own, Rhys discovers that even as liberation sweeps across France, the war is far from over. And his personal war has only begun as he is haunted by memories of previous battles and hampered at every turn by danger and betrayal. In a race against time and the war, Rhys follows his son's trail from Paris to the perilous streets of Vichy to the starving mobs in Lyon to the treacherous Alps. But Rhys is not the only one searching for his son. In a race of his own, a relentless enemy stalks him across the country and will stop at nothing to find the young man first. The country is in tatters, no one is trustworthy, and Rhys must unravel the mystery of his son's wartime actions in the desperate hope of finding him before it's too late. Too late to mend the frayed bond between them. Too late to beg his forgiveness. Too late to bring him home alive. Meghan Holloway found her first Nancy Drew mystery in a sun-dappled attic at the age of eight and subsequently fell in love with the grip and tautness of a well-told mystery. She flew an airplane before she learned how to drive a car, did her undergrad work in Creative Writing in the sweltering south, and finished a Masters of Library and Information Science in the blustery north. She spent a summer and fall in Maine picking peaches and apples, traveled the world for a few years, and did a stint fighting crime in the records section of a police department. She now lives in the foothills of the Appalachians with her standard poodle and spends her days as a scientist with the requisite glasses but minus the lab coat. Follow her at @AMeghanHolloway.